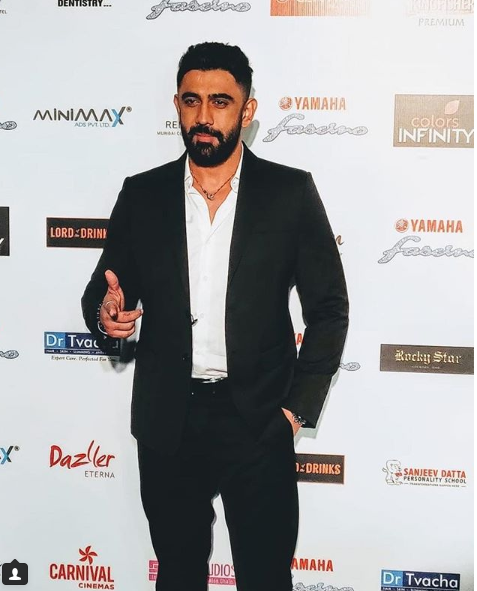 Amit Sadh is a popular Indian film and television actor. He has mainly acted in Hindi movies and television serials. Amit Sadh was born on 5 June 1983 in New Delhi, India. He has completed his schooling from La Martiniere College, Lucknow. He has studied till 12th standard. He didn’t pursue for higher studies since he wanted to focus on his career. It has been known that Amit has a keen desire to climb Mount Everest. For accomplishing his dream, he would be taking 6 months off from his working schedule in upcoming 2019. He will also follow certain training programme and strict routine for fitness. Amit made his on-screen debut with the Bollywood movie ‘Phoonk 2’ released in 2010. He has also acted in television serial ‘Kyun Hota Hai Pyaar’ in 2002. Amit has performed flawlessly in different movies including Kai Po Che, Phoonk 2, Sultan, Akira, Running Shaadi, Sarkar 3 and the serial, Kyun Hota Hai Pyarr, Kohinoor, Breath & reality show Bigg Boss 1, Nach Baliye & Fear Factor: Khatron Ke Khiladi. He was an integral part of the Shobna Desai’s Durgesh Nandini showcased on Sony entertainment television. Amit has been selected for the role in the movie ‘sarkar’. The film features Amitabh Bachchan, Manoj Bajpayee, Yami Gautam, and Ronit Roy. He had a relationship with Neeru Bajwa and Niharika. Neeru and Amit fell in love on the sets of ‘guns and roses’ during the shooting. He played the role of a don in the show. He claimed that it was the best role offered to him. He then got engaged to his girlfriend Neeru but due to some personal issues, they broke up in 2010.